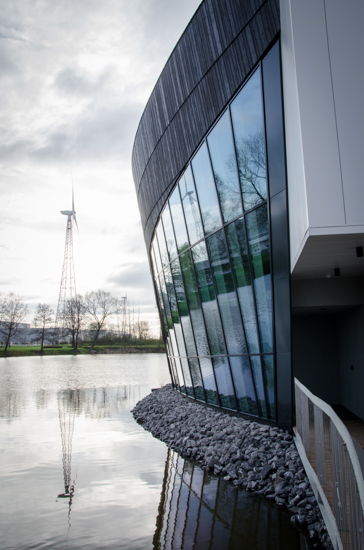 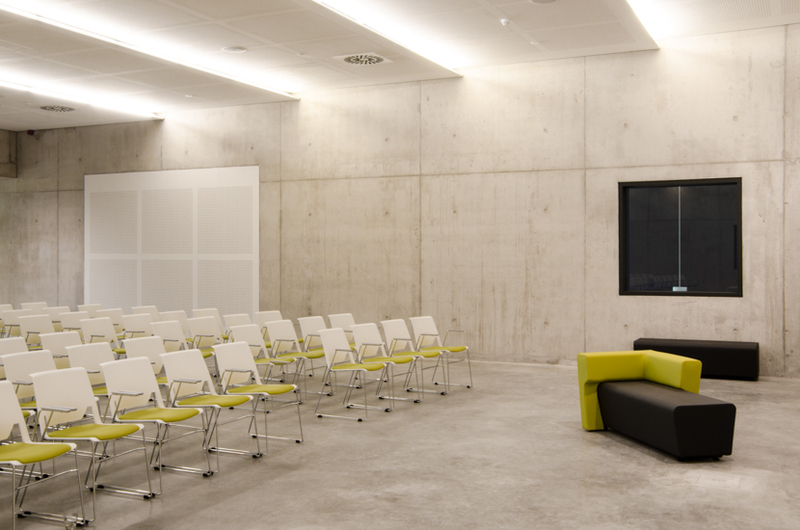 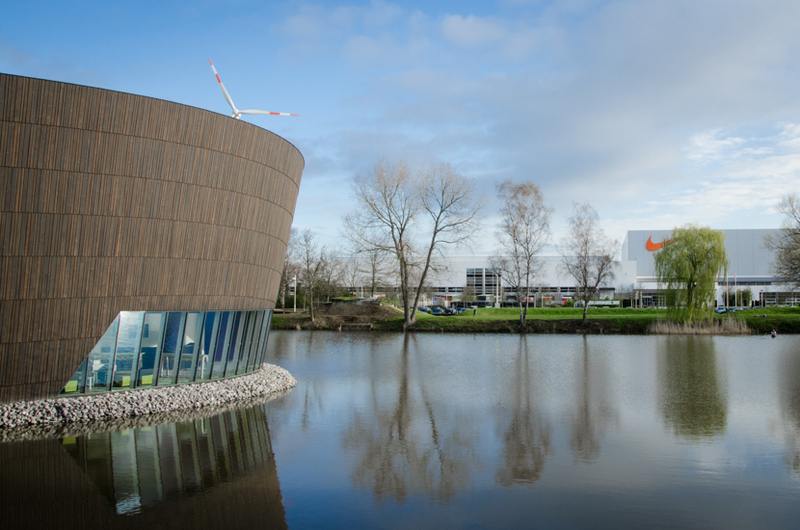 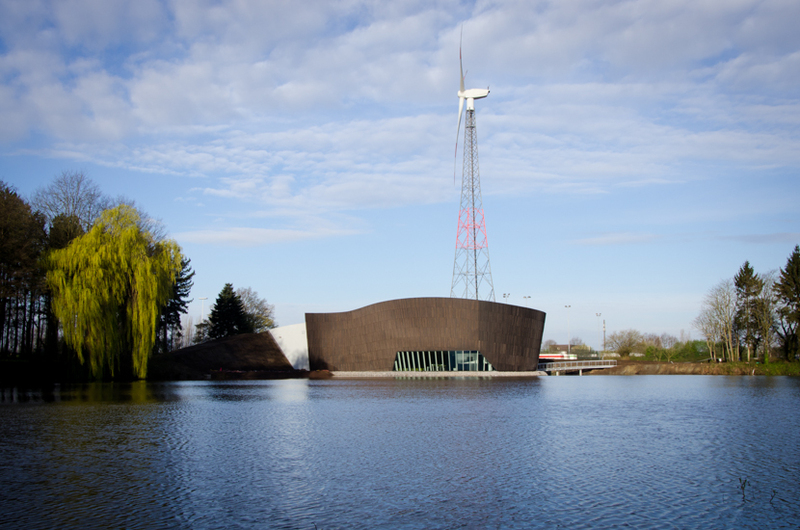 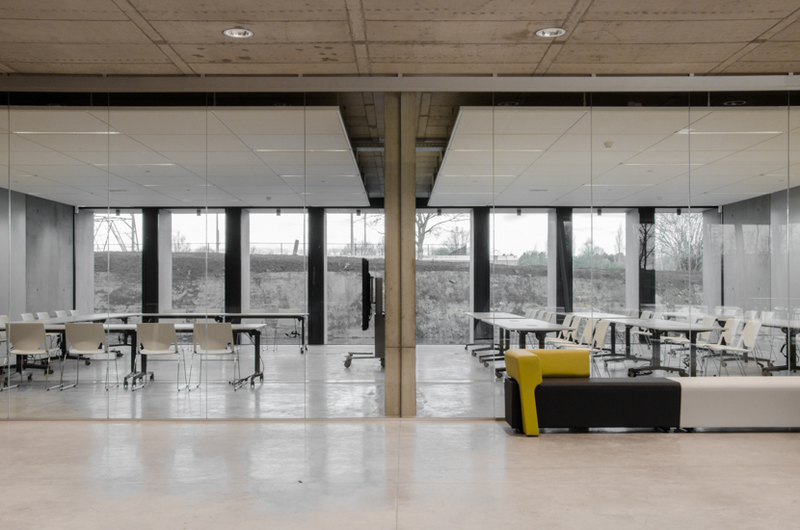 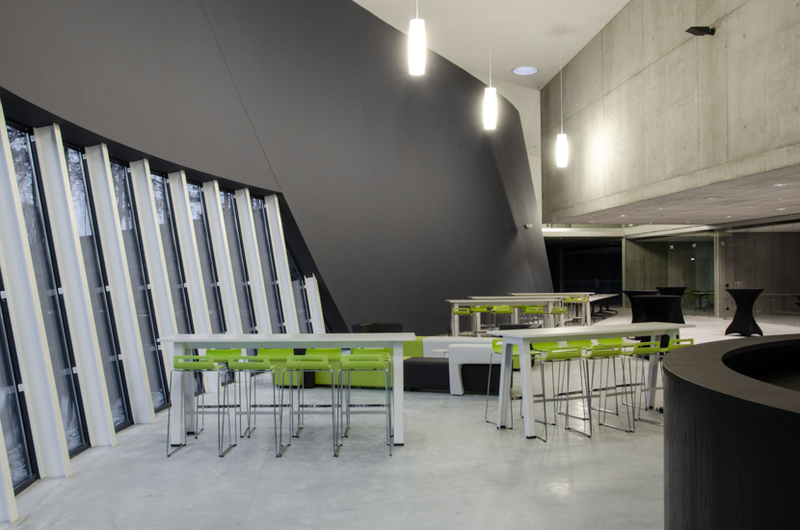 The building is located on the site of Nike ELC and houses a logistic innovation training centre. 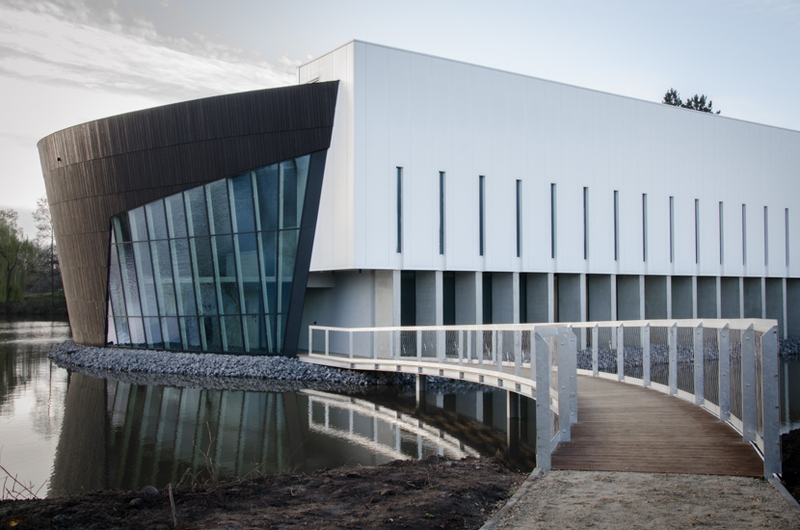 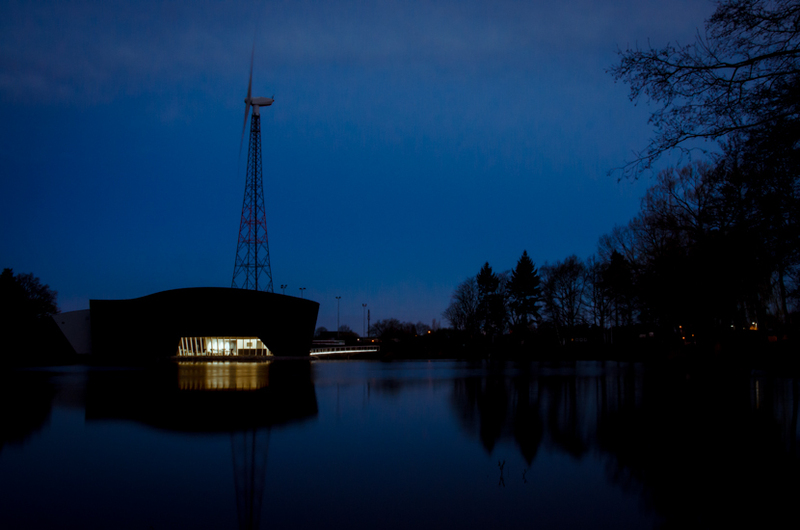 The building is situated on the peninsula in the existing pond and is accessible via a pedestrian bridge. 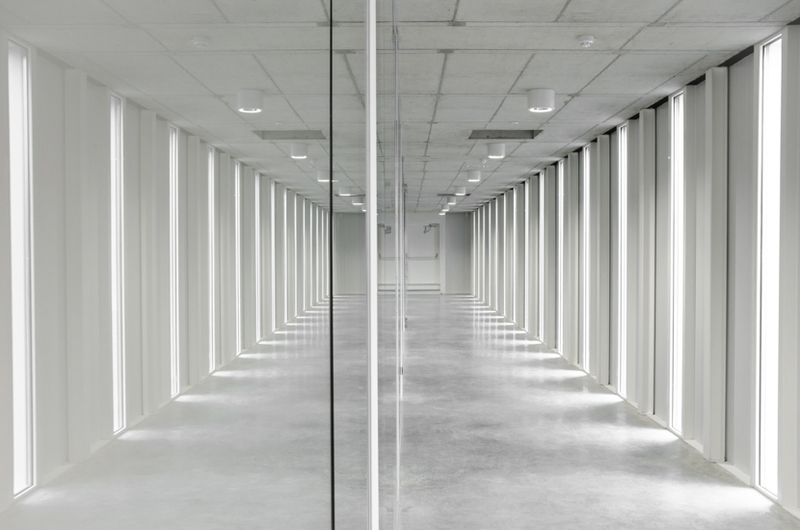 The volume is constructed under an artificial ground level, turned to the highway. 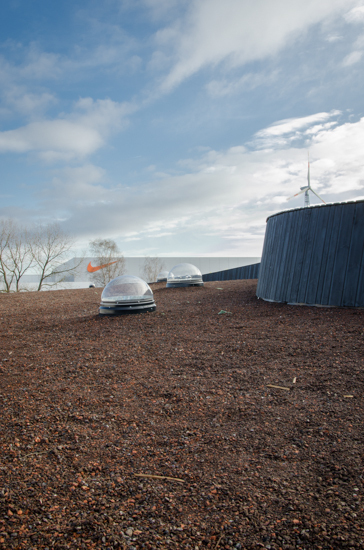 As a consequence, the walkable green roof – with Finnish running track – constitutes a green massif integrated among the existing trees. 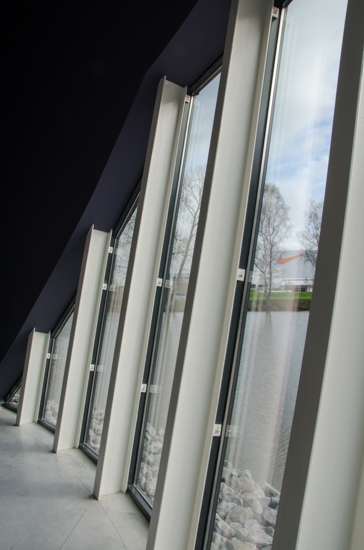 In the direction of the Nike terrain the building opens up to the light and to the water, creating an inspiring environment in which training is given. 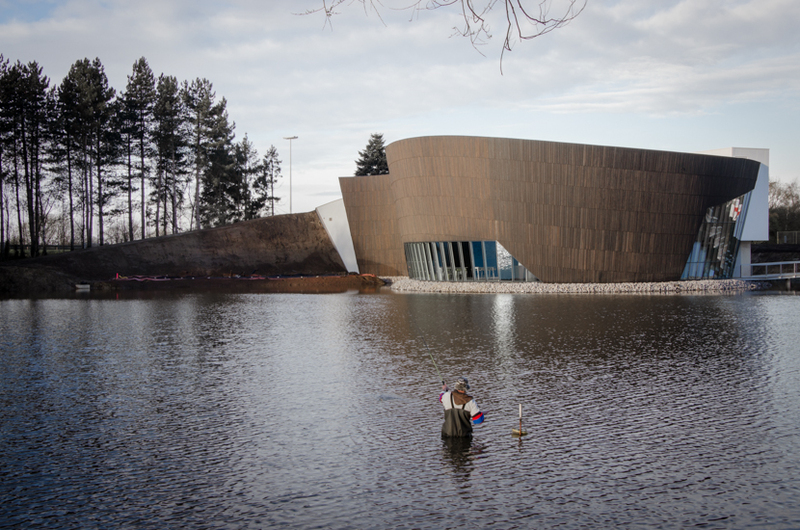 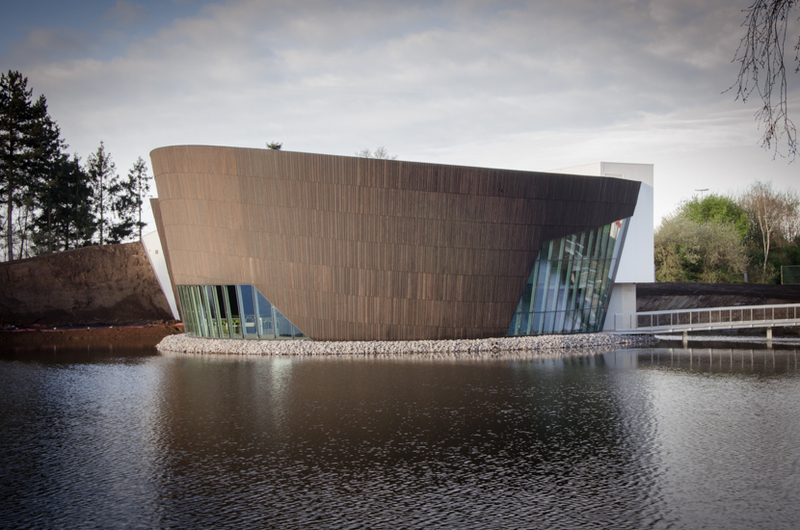 The facade on the side of the pond is conceived as an organic facade and finished with a thermal preserved wooden cladding. 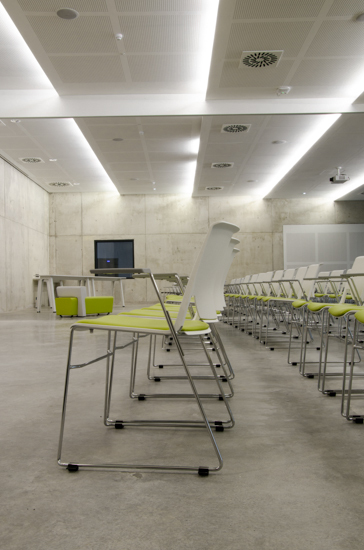 The building houses 4 classrooms, a training room, a management board hall and two auditoria with seating capacity up to 100, which can be turned into one large auditorium. 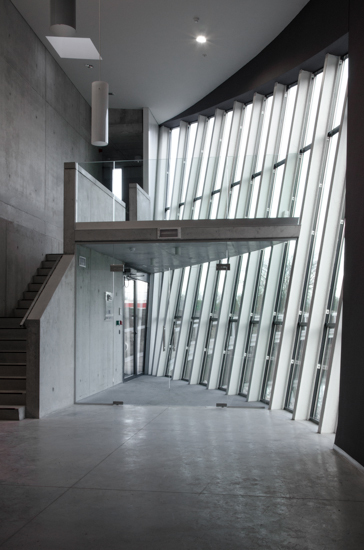 On the ground floor there is a foyer connecting all these different rooms. 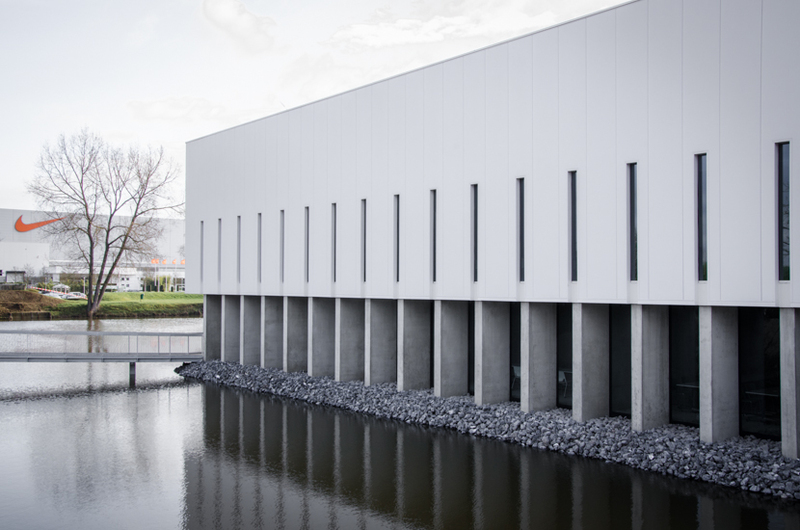 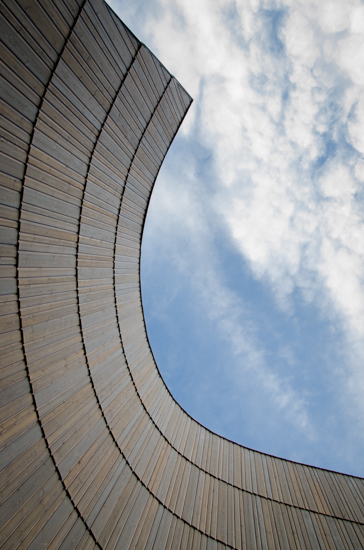 The building aims at a Breeam Outstanding sustainability label. 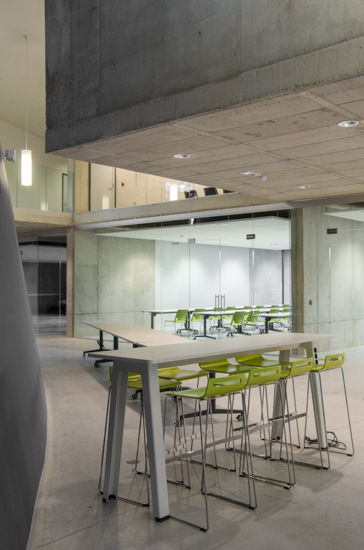 This means that not only excellent energy performance is required, but also special attention is paid to convenience in the building, the materials and the way they are used, the water and waste management and the construction method.